Goshen and Monroe drivers who compare the 2017 Honda Accord to the 2017 Mazda6 are left in little doubt of the Accord’s superiority. It doesn’t matter whether you’re looking for performance, efficiency, space, or safety, the Accord combines everything you could ask for in one award-winning package, and it outperforms the Mazda6 in every way possible. Mazda marketing materials currently proclaim that ‘Driving Matters’, but the 2017 Mazda6 isn’t the greatest of ambassadors for that philosophy. Despite Mazda’s vaunted Sky-Activ technology, the 6 has only been granted a 2.5L four-cylinder engine. At 184-hp and 185 lb.-ft. of torque, its output is hardly negligible, but the lack of an available turbo or V6 makes this a poor choice for driving enthusiasts. With mileage peaking at 26 mpg in the city and 35 mpg, anyone concerning with efficiency should be equally wary.In stark contrast, the 2017 Honda Accord manages to supply Goshen and Monroe drivers with both a more compelling drive and more attractive mileage ratings. 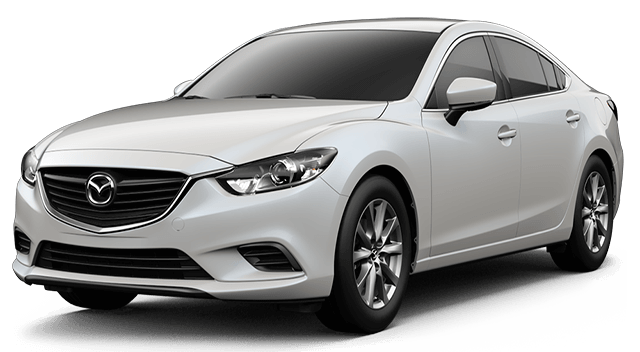 Even the 189-hp 2.4L four-cylinder that comes as standard is more powerful than what the Mazda6 can offer, and at up to 27 mpg in the city and 36 mpg on the highway, its efficiency scores are superior as well*. And the Accord even comes with the option to add a V6, turning an excellent family sedan into a model that feels truly rewarding to open up on the highway. 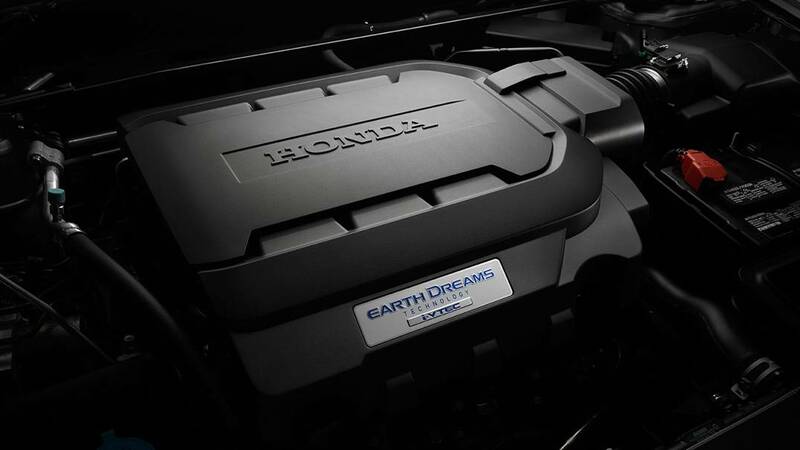 Commanding up to 278-hp and 252 lb.-ft. of torque while delivering up to 21 mpg in the city and 33 mpg on the highway, this is one of the best top-tier engines in the segment*. Front Head Room: Up to 39.1 inches in the Accord vs just 38.4 in the Mazda6. Front Leg Room: Up to 42.5 inches in the Accord vs just 42.2 in the Mazda6. Front Shoulder Room: Up to 58.6 inches in the Accord vs just 57.1 in the Mazda6. The 2017 Honda Accord’s features begin to outperform those of the 2017 Mazda6 right out of the gate; you’ll only receive dual-zone automatic climate control, automatic headlights, and a 7.7-inch central infotainment display as standard when you opt for the Accord.Also as standard is the Accord’s popular multi-angle rearview monitor, which, unlike the Mazda6’s basic model, can offer three separate viewing modes: Normal, Wide, and Top-down. Further Accord exclusives include the Honda LaneWatch system. 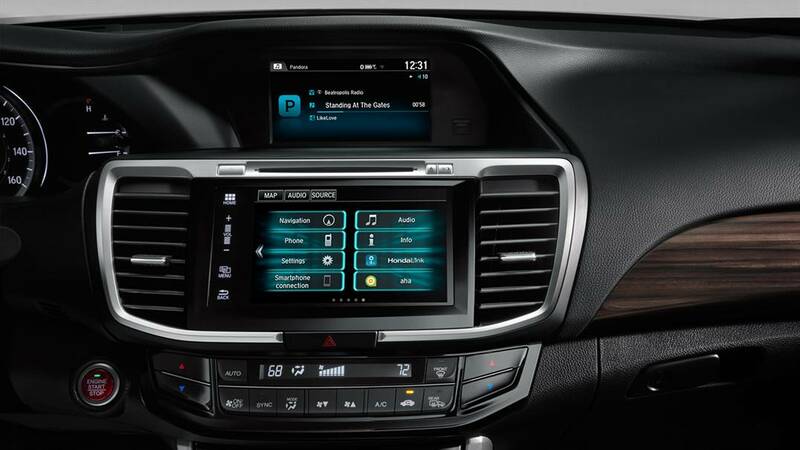 This innovative feature will play a video onto your touchscreen from a camera mounted below the passenger-side mirror. Displaying close to four times more than that mirror alone, it makes changing lanes a breeze in even the most demanding of situations. The Accord is clearly ahead of that average, a fact that really shows when it comes to safety technologies. This is one of the only midsize models in the country to offer advanced driver assistance features, including adaptive cruise control and lane departure warning, with even the entry-level trim level. 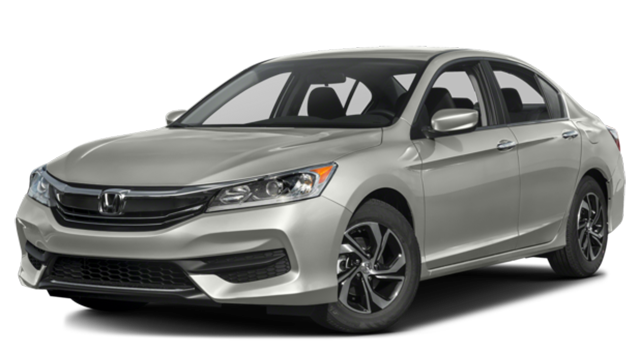 The 2017 Honda Accord outpaces the 2017 Mazda6 so clearly that it might come as a surprise to learn that they are even considered to be in the same class. If you’d like to experience one of the best midsize sedans on the market, just come on down to Middletown Honda today.